Mirtazapine is a generic version of Remeron, which is an antidepressant used to treat major depressive disorder. 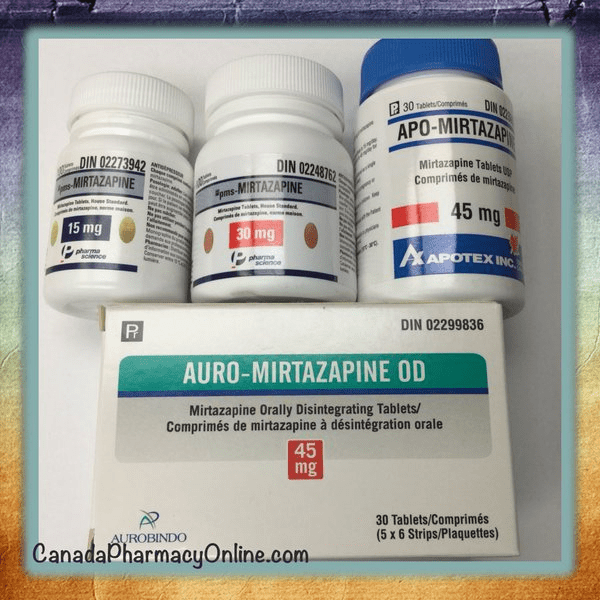 Currently we stock generic Mirtazapine comes from Canada made by different manufactures. It is available in 15 mg, 30 mg (by PharmaScience), 45 mg (by Apotex) and Soltab tablets (by Aurobino Pharma). Mirtazapine also has another sleeping-promotion property that used to improve the sleep quality issue. Take Mirtazapine exactly as prescribed.